The Low-Down: Will the Next Great Tech Breakthrough Come From the Developing World? Will the Next Great Tech Breakthrough Come From the Developing World? Venture capitalists have already invested $8 billion into developing countries (Brazil, Chile, Colombia, India, Indonesia, Malaysia, Mexico, and Pakistan) in the first 10 months of 2018, a 40% increase from all of 2017. “More venture capital is going to the developing world because that’s where the growth opportunity is." Burgeoning tech ecosystems in the developing world, and the millions of potential customers there, have made it an attractive place to invest. When I walked into Sidra Qasim and Waqas Ali’s apartment in San Francisco, the couple looked straight at my feet. “Your shoes are 12.5?” Ali asked. I nodded. “He’s very good at that,” Qasim, his wife, said, a smile tugging at the sides of her mouth. The couple have been designing shoes for nearly a decade, but they never intended to be shoemakers. They were just looking for a way to leverage the power they saw in the internet. Qasim and Ali grew up in small towns in Pakistan, 30 miles apart. Qasim’s aunt, who was Ali’s teacher, introduced them, and for years they were just friends, dog-earing sections of philosophy books to share with each other and talking about the world outside their small Muslim communities. Eventually they got married. In 2011, when they started their first shoe company together—an online retailer called Markhor for handcrafted leather shoes—national bank regulations made it very difficult for Pakistanis to accept online payments. (Services such as PayPal and Alipay are still not available in Pakistan.) So, in 2014, Ali applied for and received a B-1 visa, reserved for short-term business trips, to travel to the United States and open a bank account there. Today, as the couple starts their second business, an online retailer for minimalist sneakers, the market is changing in ways that would seem to favor entrepreneurs from the developing world. The low cost of essential business services such as cloud computing has made online entrepreneurship possible from almost anywhere. At the same time, inexpensive smartphones and a growing middle class have created demand for new products and services in developing countries such as Pakistan. Venture capitalists have already invested nearly $8 billion into developing countries (Brazil, Chile, Colombia, India, Indonesia, Malaysia, Mexico, and Pakistan) in the first 10 months of 2018, a 40 percent increase from all of 2017, according to data from the investment-analytics platform PitchBook. “More venture capital is going to the developing world because that’s where the growth opportunity is,” Dave Richards, a managing partner at Capria, an emerging-market investment firm, told me. Richards believes that burgeoning tech ecosystems in the developing world, and the millions of potential customers there, have made it an attractive place to invest. Now that prominent venture-capital firms such as Sequoia Capital and private-equity firms such as TPG have started investing in emerging markets, other early-stage investors are following suit. 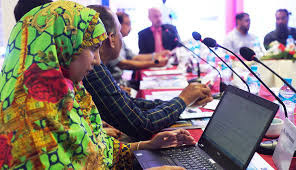 Their first success came in 2011, when P@SHA Social Innovation Fund, a Google-backed grant program for Pakistani entrepreneurs, awarded them $10,000. “It was the worst pitch I had ever seen,” said William Fitzgerald, a former Google policy and communications lead who saw their application after they were awarded the grant. But he was impressed by their determination. They wanted to create a product from the ground up and lift up their countrymen in the process. But for Qasim and Ali, as for many other entrepreneurs (with those in China a notable exception), it seemed there were intangible benefits that could be absorbed only by living in Silicon Valley, in close proximity to capital and talent. In 2014, the couple took out a $3,000 loan to attend a conference in Las Vegas organized by the Zappos CEO, Tony Hsieh. The plan was to send Ali, who spoke better English than Qasim, to the U.S. to attend the conference and register their company as a Delaware C corporation, which would allow them to open a U.S. bank account. While in the U.S., Ali met with other e-commerce entrepreneurs from companies such as Warby Parker and Everlane, and met the company’s first two angel investors, who each invested $15,000 to help get Markhor (then called Hometown) off the ground. The success of a $107,000 Kickstarter campaign, a few months later, was due in part to the connections Ali made on his trip to the U.S. The experience underscored their sense that there were far more opportunities for them in the U.S. than in Pakistan. In 2015, Qasim and Ali were accepted into the prestigious Y Combinator accelerator, which would give them additional access to mentorship and potential investors. Moving to the Bay Area also gave them the chance to interact with a number of Markhor’s original customers. “We noticed people were buying Markhor shoes for the story and the design, but they were not actually wearing them to work,” Ali told me. If the couple were going to truly succeed, they thought, they needed to design a product Americans would use every day. So, in 2017, they began designing their second brand, Atoms. Soon, they found themselves drifting farther from their roots. Their first brand had been built around Pakistani leather and handcrafted care—Markhor was named after Pakistan’s national animal, a wild goat, which, like the local craftsmen, was an endangered species—but they found that scaling the production of a handcrafted product was very difficult. Qasim and Ali made the decision to outsource the production of Atoms to South Korea, where factories had more experience producing high-end sneakers at scale and could ramp up production without skimping on quality. The irony of two entrepreneurs from small towns in Pakistan designing the next addition to the Silicon Valley uniform is not lost on Qasim and Ali. But for them, the “problem” they are trying to solve has never been about footwear—it’s about paving the way for future Pakistani entrepreneurs, even if they had to leave Pakistan to do it. In their minds, what budding entrepreneurs in the developing world need more than anything else is role models who show that success is possible—regardless of where the company matures.